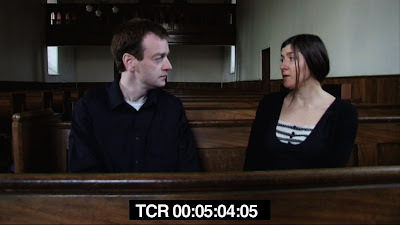 This is a video I first made for an exhibition at The Dock Arts Centre in Carrick-on-Shannon, Co. Leitrim, Ireland in 2010. It was shown silent on a monitor with an optional artist's commentary on headphones. I only had the original copy on DVD but have managed to transfer it to a format for uploading. For a transcription of commentary and more information abut this film you can use this link. 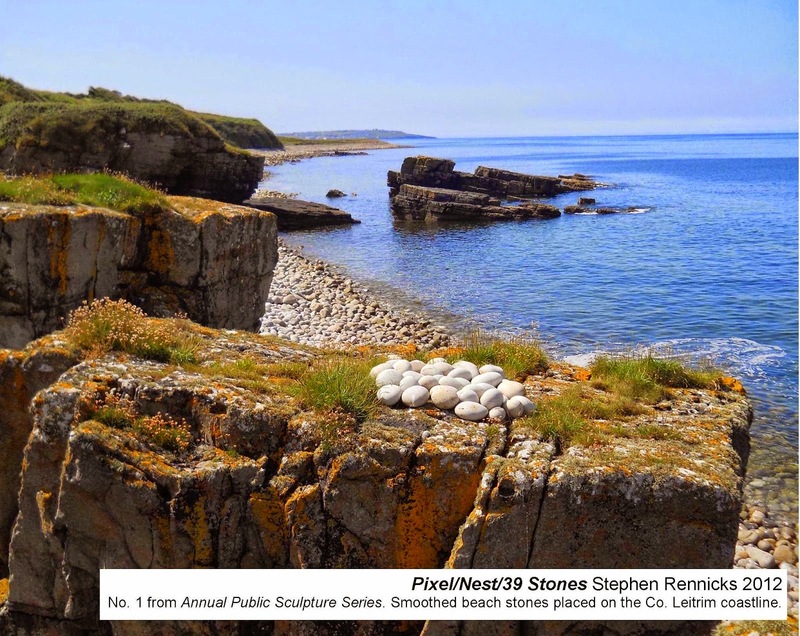 Pixel/Nest/39 Stones (2012) The first piece in this series was made while I was camping on the very beautiful but rarely visited Leitrim coastline (its only 2.5km long and has no beach, road access or signage) in August 2012. It was my last morning there and I spent time lifting one white sea smoothed stone at a time and then climbing a rock outcrop before arranging them into a circle to be best viewed from the cliff-top above. Not long after I finished a coastguard helicopter flew along the coastline and its crew may have been the first to view it. I hope it will be possible to view it from satellite images one day, perhaps as a single pixel of light. 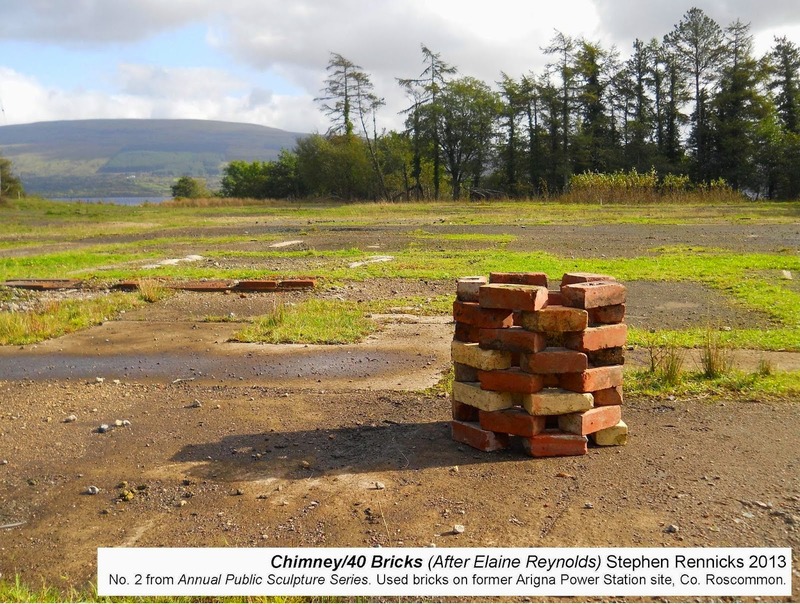 Chimney/40 Bricks (After Elaine Reynolds) (2013) was made at the site of the former E.S.B. power station near Arigna in Co. Roscommon. The site was not too far from where I lived then and I had been going there for many years for walks along the shore of Lough Allen. I had already used the location for an entry in The Guide To Here Nor There and filmed there for sections of my Cutting into the Present video piece the previous year. The artist Elaine Reynolds had done a project, I always wanted to be a Windmill, about the coal fed power station which was supplied by a local mine nearby. The closure of the station also led directly to the end of the coal mines and was thus a massive jobs loss to the local economy in 1991. The station and its huge chimney was demolished not long after and the site cleared. Her project discussed this and reflected on more sustainable energy that is today produced by wind turbines nearby as well as social energy. 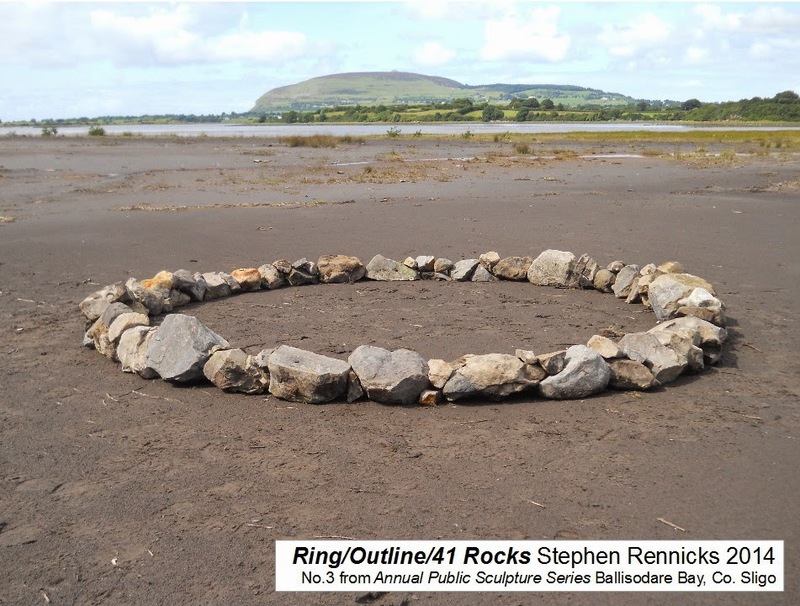 When I saw this work exhibited in 2009 at The Dock in Carrick-on-Shannon, I liked it and remembered she had made a small tower of bricks in the space. On my visit in October I noticed plenty of bricks still lying in the remaining rubble of the site, some of which I presume she also must have taken to The Dock and used there. I took them to where I thought the original tower would have stood and built my tribute to her project and my own quiet memorial to the station. I was exploring the outskirts of Ballisodare, Co. Sligo, not too far from where I am now living since the start of 2014, when I came to a dead end road near the coast. There is an old graveyard and the ruins of an abbey at this point. I then followed a pathway which over looked the bay where the Ballisodare River joins the sea. I continued on and found it led me into part of a still operational quarry. I back-tracked a little as there had been a smaller right fork, which had looked to me as if it was about to peter out into thick overgrowth. I pushed through the very narrow gap and soon found myself on a deserted beach. The first thing I saw was the ugly remains of a mound of burnt tyres and broken bottles. The sand is a dark grey and during the week there is constant noise from the quarry. It's like an industrial beach but I loved it for all those reasons and have come back many times since and have yet to meet anyone there. It has a real desolate beauty, very much like the other two sites I was drawn to for this project, as well as amazing views and plenty of wildlife. I knew on that first visit that I would probably be using it for the last part of this series. I went there again in August and made it with rocks that were scattered about the beach but had to pull most of them out of the bank nearby. There are 41 large rocks which make contact with the ground and I used smaller ones to even it out a bit. It's well back from the sea but I anticipate that it will disappear or become partly submerged during times of high tides. In a nice case of synchronicity, just as I finished it, again the same coastguard helicopter passed right overhead as had happened when I had completed the first piece on the Leitrim coastline. 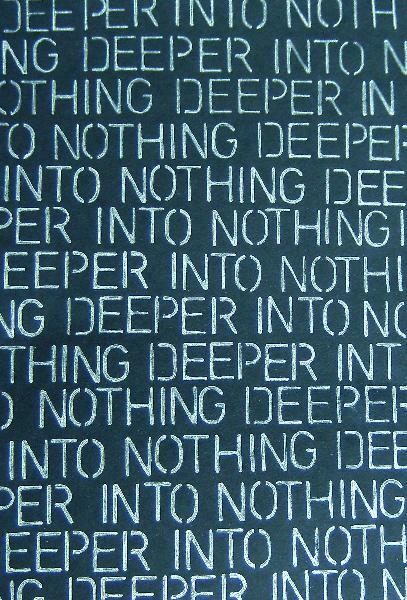 My Deeper into Nothing booklet is now available. It includes an introduction to the technique and how I came to arrive at it through doing 666777888. Examples of work I created with it and text about them and more. It can be ordered and previewed in full at this link. 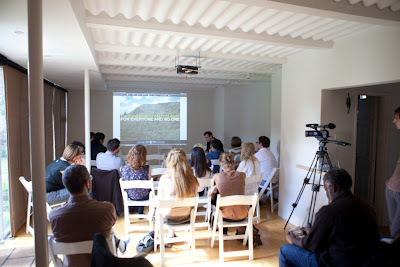 I will be doing a talk on Deeper into Nothing at Portrait of Space in Blackrock, Co. Dublin on Friday 9th September 2011 from 2pm. During the weekend I will also have an ongoing intervention there which came from using this technique. I will have two photographic prints on display, Secret Sign (Past) and Future Potential. Here are those images and the text for a hand-out I will have available at my talk. In Taoism they refer to something called the Wu which means void or nothingness. But to them Wu is not simple nothingness either, but rather a formless and infinite potential. Going deeper into the seeming nothing of the present moment; new things start emerging from what were previously thought to be the most unpromising of areas, while the most promising can turn out to be emptier than at first suspected. Rather than the near certainty of simply finding the already obvious, by giving more time and attention to something overlooked or barely existing, you can potentially discover something new. As once you deal with the nothing then you can deal with the something. Deleted Scenes was made using the ‘Deeper into Nothing’ technique; which in this case purposely used the kinds of scenes normally taken out of a movie which were themselves limited to what could be shot in just one day. It is hoped that the edit has been designed so that everyone can now create their own unique storyline or even solve the riddle and find the original meaning the artist had in mind. Available for screenings. There are more detailed explanations of the Deeper into Nothing technique in previous posts but in one line it could best be described as finding the infinite possibilities in the seeming nothing of the present moment or the art of anti-climax (everyday life). 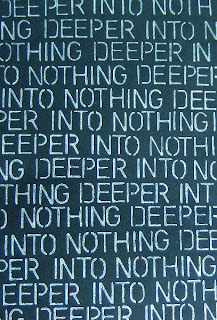 Deeper into Nothing Film No. 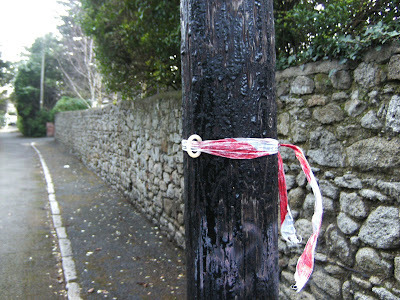 2, a video with optional artist’s commentary, will be on show at The Dock Art’s Centre in Carrick-on-Shannon, Co. Leitrim, Ireland from 3rd December 2010 until 22nd January 2011. For the record I have transcribed the commentary below and have a few more addition words about it below. On a surface level I see the visual part of this film as the seeming nothing and the commentary as its depth. I don’t see the commentary as the final word on the project or the film, it’s just what I felt that day. Lately I’ve also been connecting the “Nothing is real” line from The Beatles ‘Strawberry Fields Forever’ to this project and am seeing it as very much the literal interpretation of that line. There is hope at the core of this project as well. As when all appears lost and nothing is left, that can be the transformative moment when you finally see the one worthwhile thing more easily and the undoubted infinity of possibilities it offers. That is when I have found my most vital work as an artist. Less is always more, limitations are necessary. 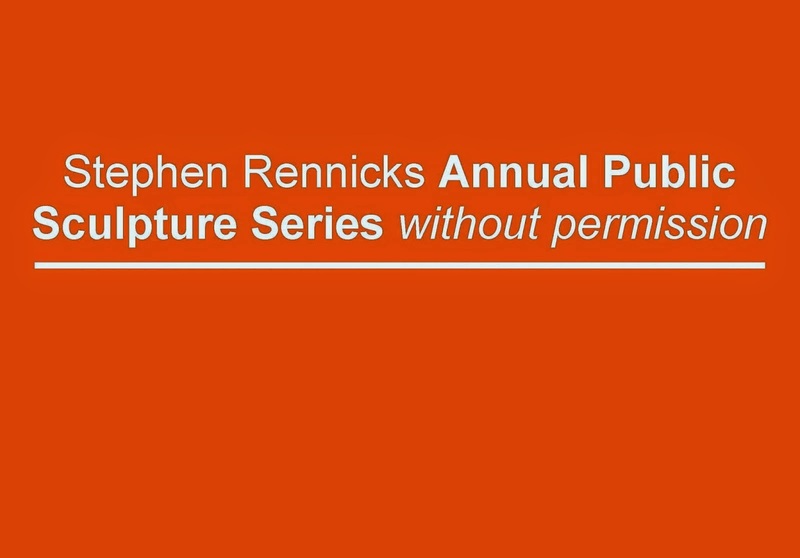 “Hi this is Stephen Rennicks and welcome to this commentary for the video of mine you are now watching. It was first made for an exhibition at the Dock arts centre in Carrick on Shannon, Ireland at the end of 2010. 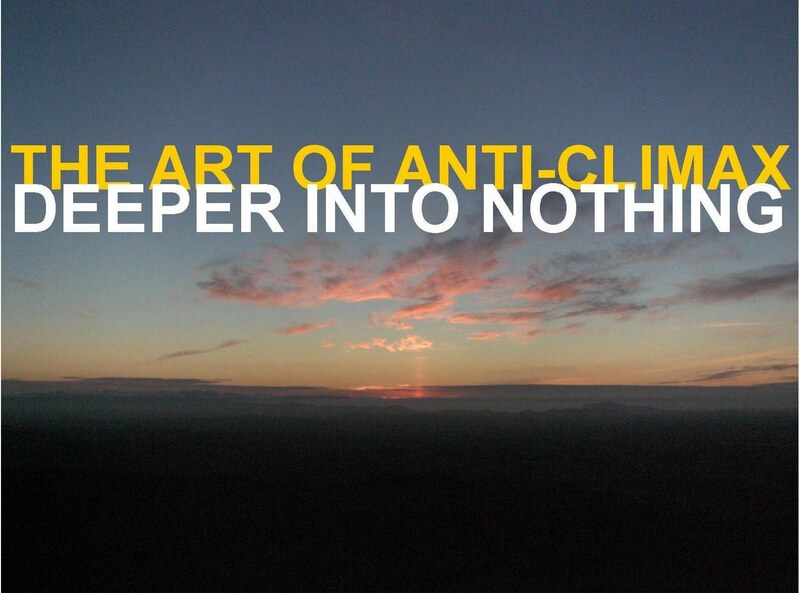 The piece is part of a project I began in 2009 called ‘Deeper into Nothing’ and also shares this title. This project explored in various ways how the seeming nothing of the present moment, the now, can really be viewed as a point of infinity or limitless potential. In Taoism they refer to something called the wu which means "void" or "nothingness". But to them Wu is not simple nothingness either, but rather a formless and infinite potential. To balance this with the Christian tradition, St. Augustine said, "Where there is nothing there is God." That is how I see it anyway and exploring this truth is part of the journey I am on both as an artist and a human being. 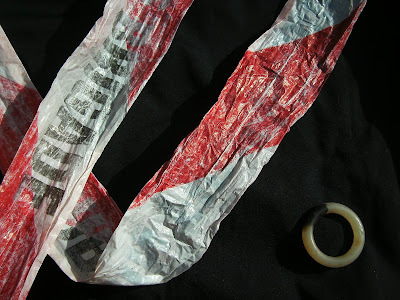 My main interest and the stated objective of my work of the last 6 years is to find ways of bringing people to a more objective awareness of the now and hopefully people can find things out about themselves if they engage with the work as I know I certainly have in the process of making it. I was lucky enough to discover this subject when I was in my early twenties and read The Outsider by Colin Wilson. In the late 50’s he was already describing something he called faculty X which in my opinion other more contemporary writers like Eckhart Tolle, who I also have a lot of time for, refined to the now. But this concept is ancient and I am just one more person in this chain. The subject here is fire, which is pure, eternal and can only exist in the moment. By abstracting it here by both putting it on video and disguising it somewhat by having it out of focus I feel I have created a new representation of this elemental force which can itself only now exist in the moment of being viewed. I hope I have managed to make the imagery as simple and universal for each person to find their own interpretations of how it could relate to their personal experience of the moment but for the sake of this commentary I am about to go a good bit further in this without I hope cheating people of gaining ownership of it by their own efforts. Taking the title as a guide, I personally see the light source as a metaphor for an awakened human life lived now in a more pure and unpredictable form. The idea for the commentary itself perhaps came from the artist Robin Whitmore who was at an opening of mine in 2007 and was listening to me explain some of the work I had on show there and afterwards I remembered him telling me that he wished there was a button he could press beside each piece which would have triggered my recorded explanations. I quite liked this idea in a way and knew what he was getting at and I suppose I just hadn’t found a way to do this in a way I felt comfortable with until now. In other projects and pieces I’ve made in the past a search has often been an important element which I would quite deliberately include. In this case I see listening to this commentary as that aspect. This search aspect for me refers to the always ongoing search we are all on for the meaning of life and our quest to find our true self. Both goals which are very hard to permanently grasp as we and the world are constantly in flux. And very much as in quantum physics, we soon find that we can’t really study ourselves without affecting the outcome of the experiment. Of course staying awake to these types of insights will always be difficult, maybe impossible but we can of course get glimpses of ourselves and the wider meaning in the moment. Just to speak a little bit about the presentation here itself. As the commentary is optional, the piece should always be presented on a monitor with headphones as it has been designed in the normal way to work from purely the title and imagery alone. Once I knew what I was trying to say I then had to find a way to incorporate that into how I would be saying it. That led to the decision that the video should be in real time, therefore without edits. As edited footage by definition creates an illusion or false record of reality. Which would be the opposite effect of what I’m trying to achieve here. I know that the impulse for some of you will be to resist the real-time aspect here, but by confronting this very robotic resistance and allowing the moment to just simply unfurl as it will. The feeling of acceptance and non resistance to it is being in the moment. Being fully present in the moment and no longer impatient for it to be over or wishing you had never started. In this acceptance I believe you can find a new definition of freedom. And you can now of course do it anytime you wish as you live in real-time after all. As I said, you just have to embrace it, becoming fully present to it fir it to happen. If you haven’t already guessed, the light source you are seeing on screen is simply a flickering candle in its last stages of life. I used a pretty standard Sony video camcorder for this purpose which uses magnetic Hi 8 tape to store the image. This is what I have access to but also because it is an analogue recording medium it will not pixelate, which would have happened here using digital when going for an out of focus effect. I am also under the illusion that analogue gives a smoother, warmer, more natural looking image as well, which I think it has this time. Luckily the transfer from analogue to digital DVD, which you are now viewing, remains true to its source. This was all shot in my kitchen where I am also now recording this commentary. I made the final master copy with a lot of wires plugged into the back of my hardware DVD burner and some good timing in switching the audio and video on and off at the same time. Which is how I like to work, primitive but effective as I’ve always been interested in getting the viewer more quickly past the how and onto the why of my work. As while how the work looks and is constructed is very important to me, I’m much more focused on creating that subjective moment of understanding between the work and the viewer, which may not happen straight away. With this in mind I don’t want to state here what may or may not be so obvious about doing this commentary for this particular video of the seeming nothing but what I could have said is itself infinite. Some of which you can find at a website I have made about this project, located at deeperintonothing.blogspot.com.